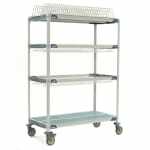 Metro PR48VX3 4 Tier Mobile Drying Rack w/ 2 Drop-Ins, 26" x 50" x 68"
4 Tier Mobile Drying Rack w/ 2 Drop-Ins, 26" x 50" x 68"
The Metro PR48VX3 MetroMax i® 4 tier mobile drying rack is made of polymer and has wire drop-in shelves made of rust-resistant 304 stainless steel. Two wire drop-ins and one cutting board/tray drying rack are included. 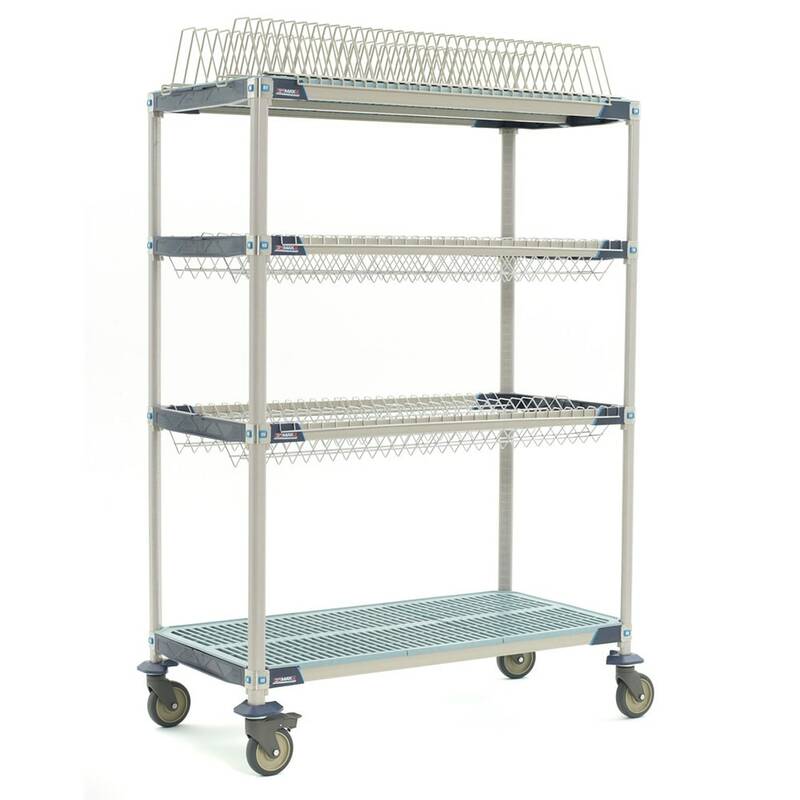 Shelf mats, posts, and epoxy-coated tray drying racks have built-in Microban antimicrobial product protection. Shelves are interchangeable and adjustable in 1-inch increments. This drying rack can hold 800 pounds per shelf and 300 pounds per wire grid. There are four 5-inch swivel casters with two locks, and they give the Metro PR48VX3 the ability to move and clean messes underneath the unit.